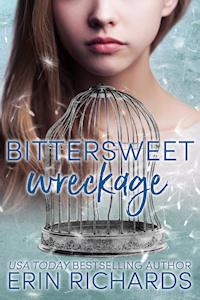 BITTERSWEET WRECKAGE - Available now! Her dad wasn't supposed to die. He wasn't supposed to have a second family, and her mom wasn't supposed to slip into a prescription drug haze. 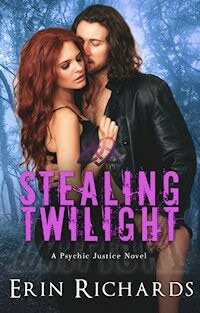 Ivy Lynwood has spent her life under the oppressive thumb of her abusive father. When the impossible happens, and he's found dead in a boat fire, Ivy thinks her life may finally be turning around. But her newfound freedom is short-lived; just as she and her mother start to move on, they learn that Ivy’s father had a second family—whose mother also died in the boat fire. Child Services asks Ivy’s mother to take in the orphaned teenagers, and her life spirals even further out of control. Her mother disappears into a drugged la-la land, leaving Ivy to clean up the pieces… while clues of her mother’s guilt in the fire stack up. And for the first time, Ivy falls in love… with the son of her father’s dead mistress. Even though Ivy and Jesse are unrelated, he’s off limits when he moves in with the Lynwoods. Ivy knows she’ll never have the normal family she dreamed of—but can she manage to turn the wreck of her life into any family at all? Avoiding him should be easy with her strict dating rules. Mind reader and Psychic Guild lawyer, Marisa Meadows, adheres to her Guild Girl Code by not dating Guardians. 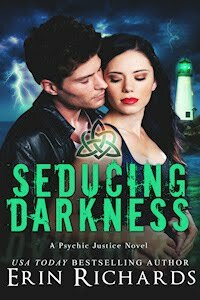 But she’s drawn to Guild Guardian Ric McAllister’s handsome charm... especially when their psychic minds dangerously connect. 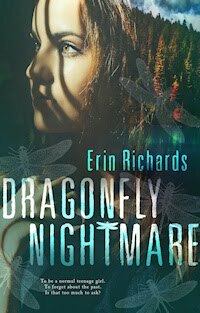 It’s not easy to keep Ric at arm’s length when she needs his help to eliminate the evil tormenting her. One madman. One Guardian. And the fight for the woman who tempts them both. 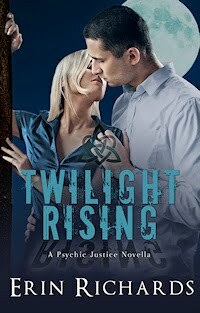 After Ric has a deadly clairvoyant vision of Marisa burning down a house, he's determined to prove her innocence. 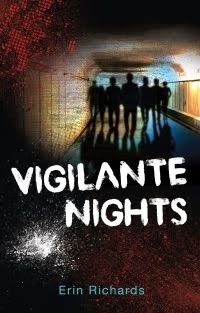 Yet his visions are seldom wrong, and as the clues pile up, Marisa’s guilt escalates. 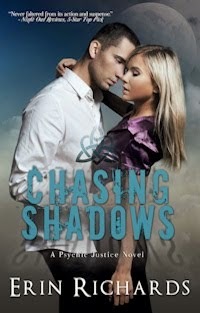 Every moment in her presence is pure temptation, and Ric fears it won’t be long before he surrenders to her darkness. 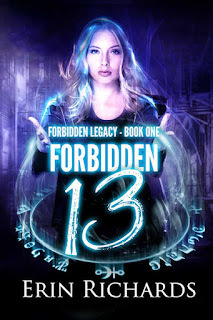 Soon it’s hard to tell whether their greatest threat is from the darkness seducing them, a sinister mastermind playing games, or the passion leading them toward destruction. 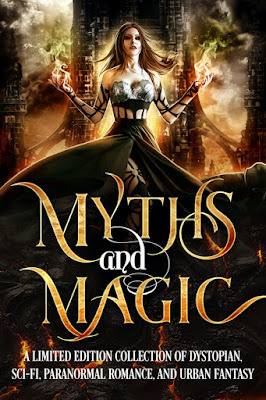 Pre-Order MYTHS AND MAGIC & get BONUS GIFTS! This multi-author boxed set debuts my favorite book of all time, my urban fantasy, FORBIDDEN THIRTEEN. You don't want to miss this awesome set of novels and novellas, and not just to get my book! Isn't this a killer cover too? Pre-Order now and get BONUS GIFTS! Abolished magic returns to Earth. The Minotaur and Achilles clash. 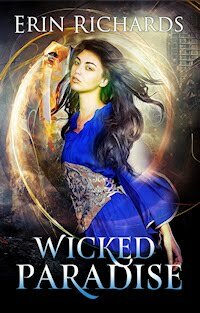 Telekinetic sorcerers, witches, and fairies discover their powers. Humans become cyborgs. Dragons prowl the depths of Iceland's volcanoes. All this and more is packed inside one boxed set overflowing with stories from today's hottest USA Today and International Bestselling authors! If you're ready for 21 exclusive full-length novels and novellas, including some BRAND NEW material, in a boxed set where vampires, shifters, ghosts, demons, and even Djinn haunt the pages, then fall into MYTHS & MAGIC, a collection of science fiction, fantasy, and a dash of paranormal romance that will take you to the edge of your imagination. After pre-ordering your copy of Myths and Magic, head to http://www.subscribepage.com/mythsmagic, enter your e-mail address and your confirmation number (or the store name and date, since some vendors don't have confirmation numbers). You'll be sent to a "success" page that shows you all the book covers with links to the download sites and then you'll receive a one-time courtesy e-mail with the download links as well. Enjoy!